No Man’s Sky is a space exploration and survival video game developed by Hello Games. The game is releasing today for the PlayStation 4 players, and they can finally start exploring multiple galaxies to discover new planets and everything that this game has to offer. The game will be released on three days from now on 12th August, 2016 for the PC. The mystery and hype is real for No Man’s Sky, but we are trying to make your gameplay experience enjoyable with our guides of the game. The first thing that we have for you is No Man’s Sky Beginners Tips, you can better understand the game with these tips and tricks for the game. 1 – The currency in No Man’s Sky is called the ‘Units’. Explorers can earn the Units in different ways, including selling unwanted items at trading posts, by defeating pirates or by uploading the discoveries to the beacons. 2 – If you discover new species on any planet, be sure to run towards a beacon ASAP. Not only you will receive the Units as a reward, but you will also receive a credit for being the original discoverer of that specie. 3 – Another reason to rush towards a beacon is that some creatures on a hostile planet can attack you. And if you die without uploading your data, you will lose all your discoveries and items that you are unable to record through the beacon. 4 – You can purchase different resources from the trading posts, but you can also mine planets for the resources. Mining resources is more fun than just visiting the trading post and buying resources to craft items. Just Remember one thing that you do not mine too much on a particular planet as it will draw attention of the Sentinels. 5 – Always lookout for the hyper-drive fuel. You can either buy it at the trading post or mine it from a specific planet that has the resources for the Hyperdrive fuel. This Hyperdrive fuel is very important as it is the only item that you can use for exploring a distant galaxy. 6 – Do not be a hasty one to spend all the Units on different items/resources because star system has a different price for any given item. If you want to sell an item but do not like the price, then get a cargo ship for yourself as these chips can hold the items for you until you find a reasonable price for the items/resources. 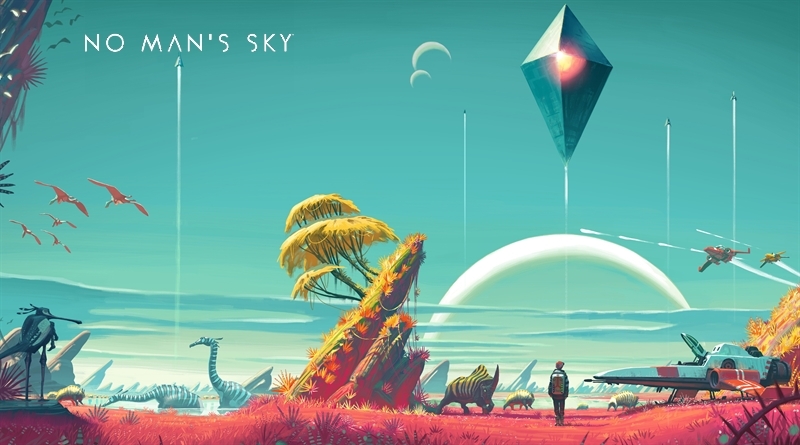 7 – Same as an actual planet, most of the planets in No Man’s Sky will have a day/night cycle. If you visit a planet during the night, we suggest you hangout there for a while to make new discoveries during the day. 8 – The Explorers are only allowed 1 ship currently. But you can Buy a new ship at the space station. 9 – In exploring the vast space and various planets, you will come across a planet with toxic environment. We suggest you upgrade your suit before visiting these planets to make sure that no harm comes to you in exploring and making discoveries on that planet.